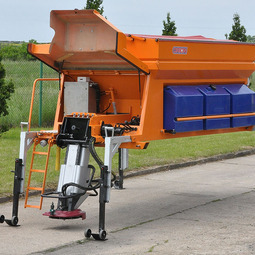 Equipment controlled electronically and hydraulically. 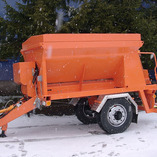 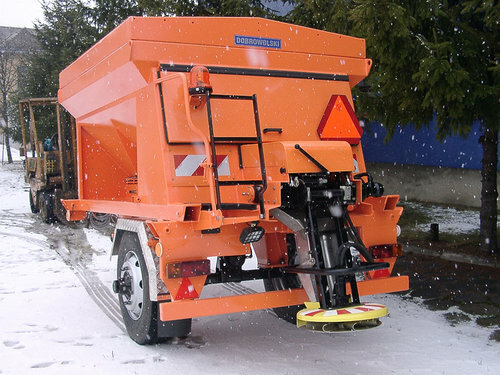 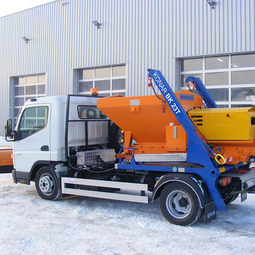 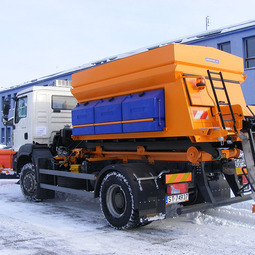 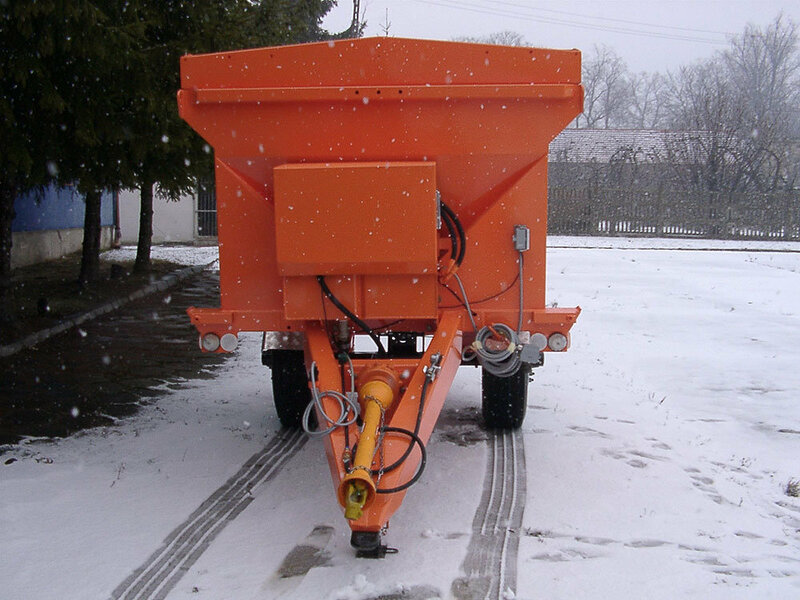 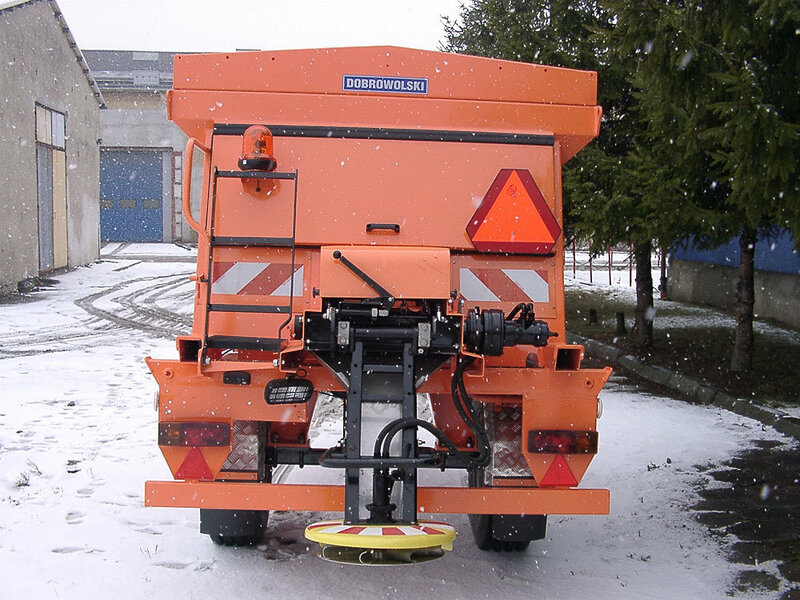 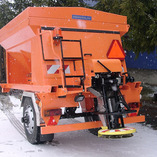 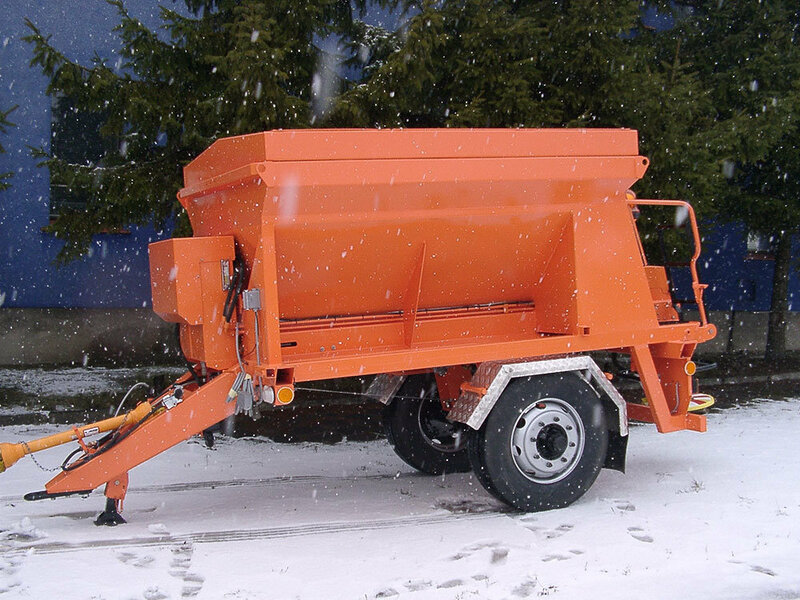 Designed for clearing slippery surfaces from roads using all known chemicals and anti-slide agents. 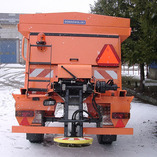 Brine moistening is also used. 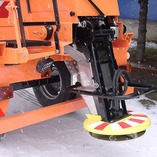 Equipment drive unit from the vehicle hydraulic or PTO. 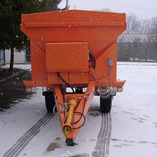 Turning on salt/sand spreader is done from the cab. 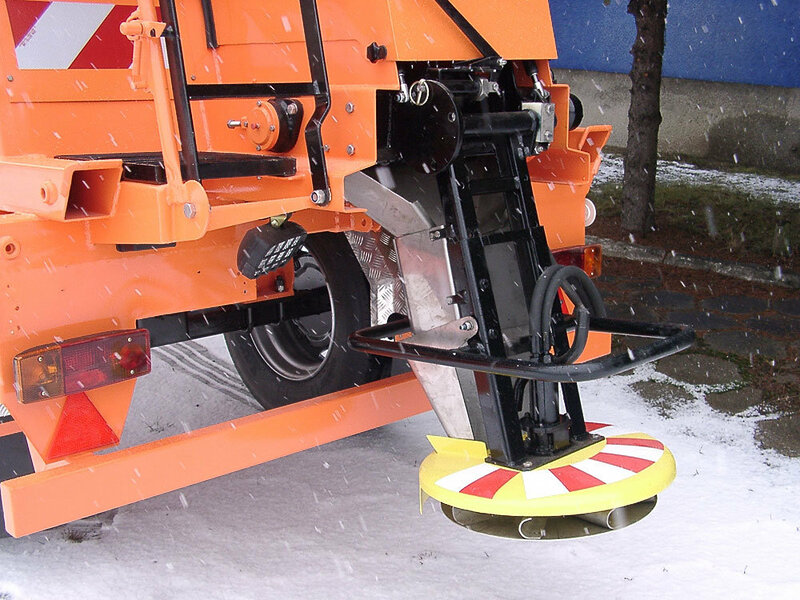 Operating parameters are regulated in a smooth way with help of valves located in the valve chamber.